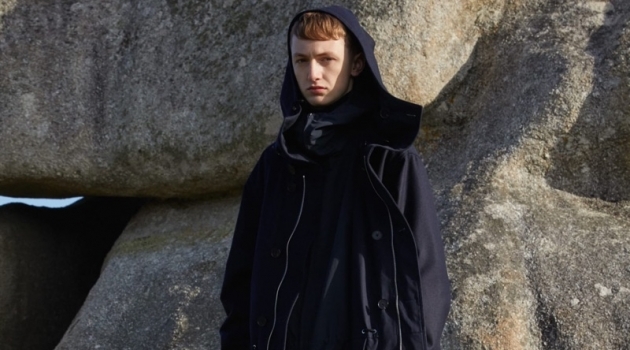 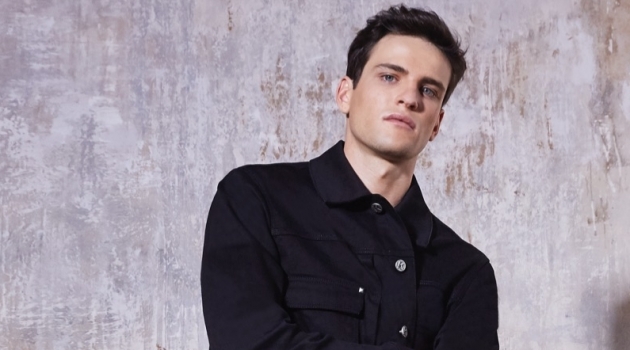 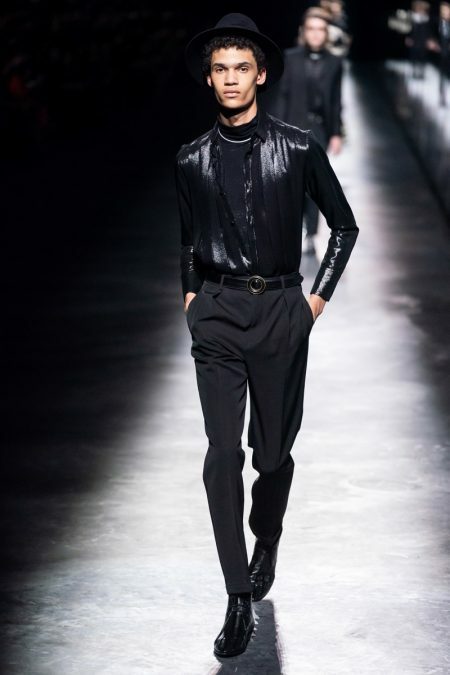 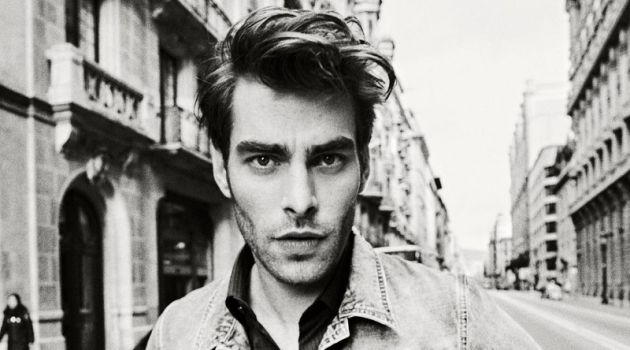 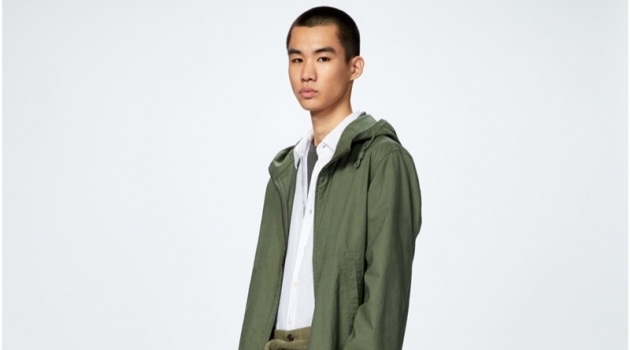 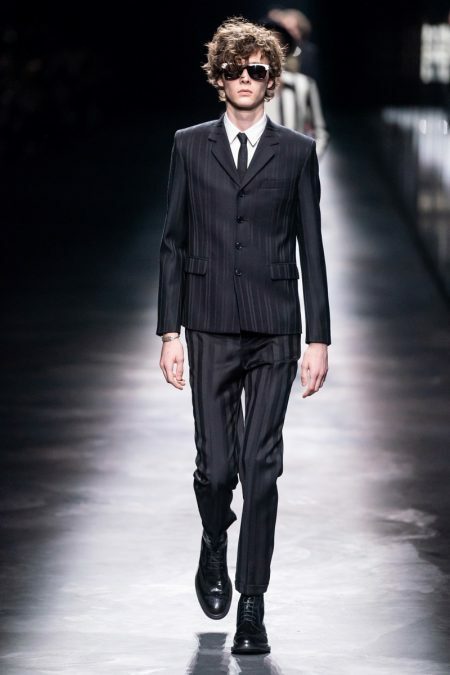 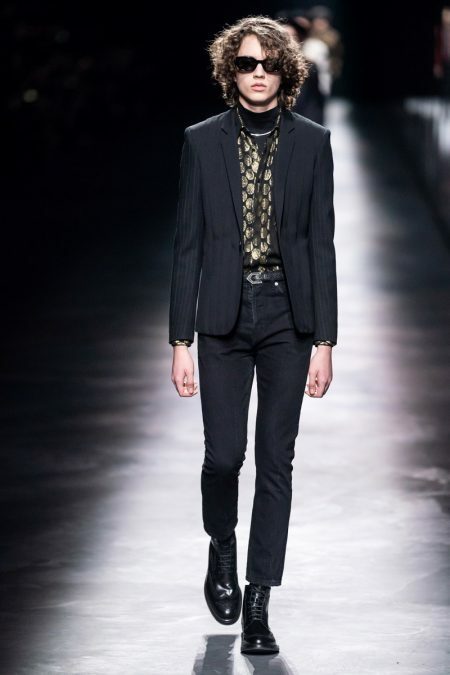 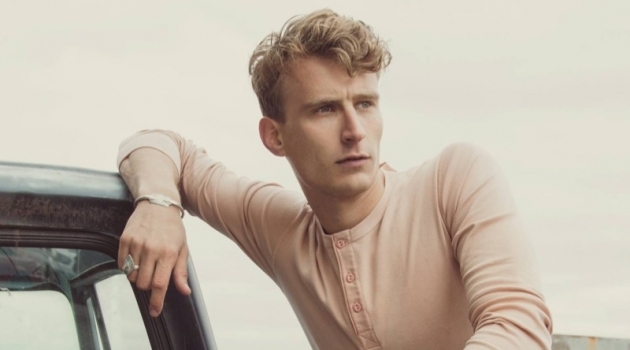 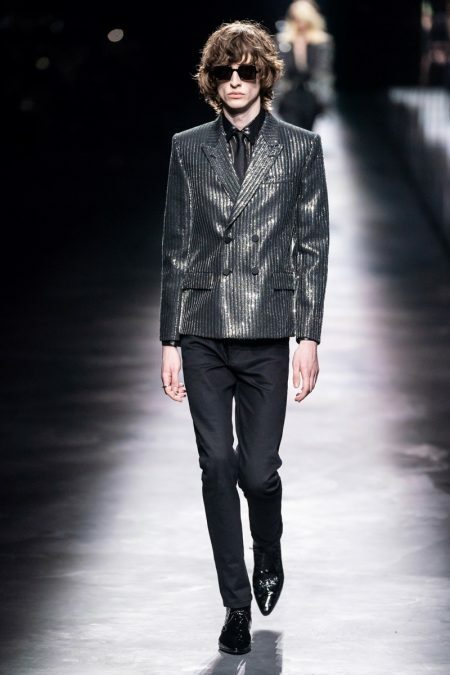 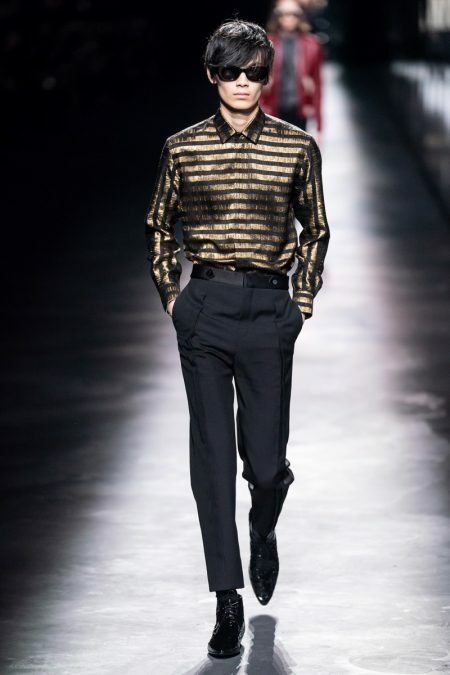 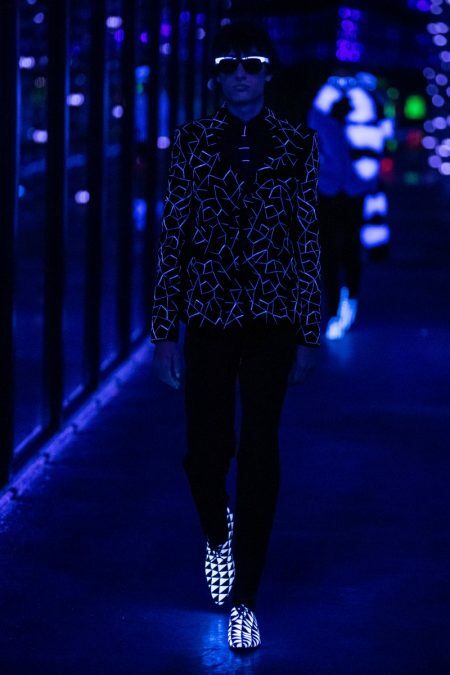 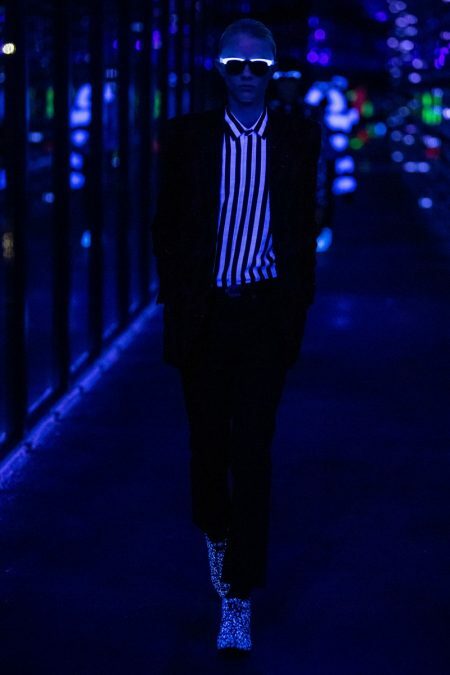 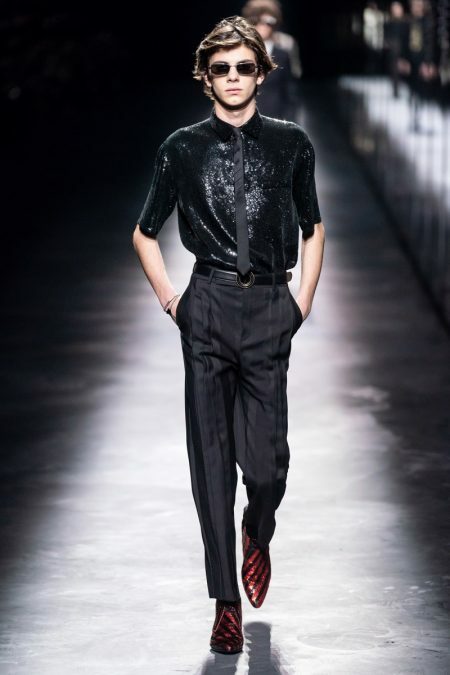 Saint Laurent's fall-winter 2019 men's collection is sharp and concise. 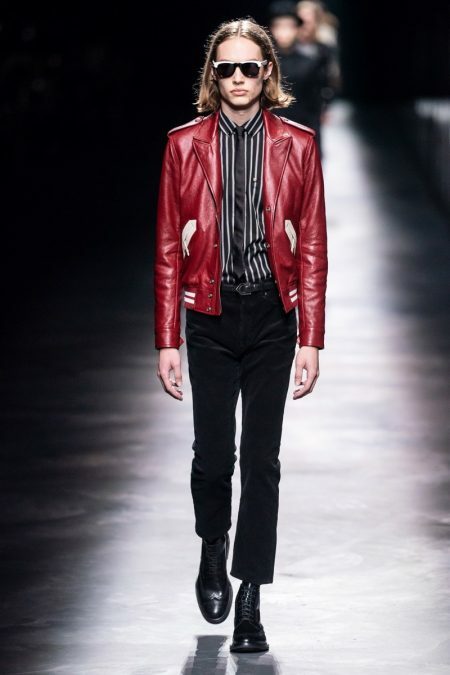 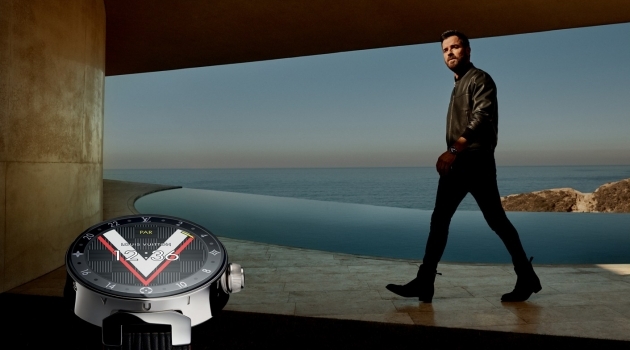 Creative director Anthony Vaccarello delivers the fashion house's signature stamp on Parisian cool. 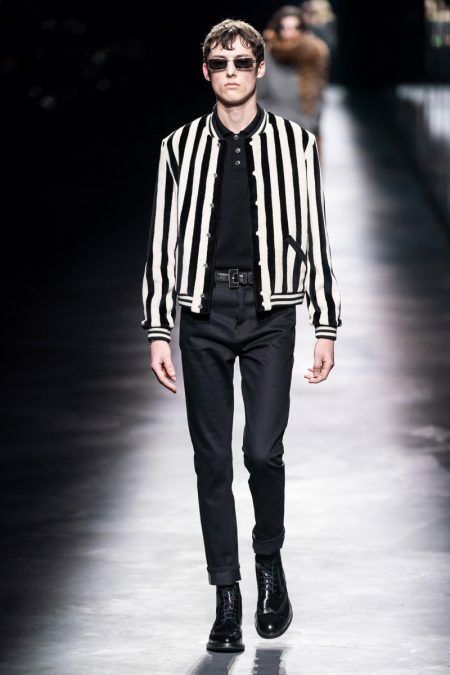 Juxtaposed with a rock 'n' roll chic edge, the range circled around black tailoring and statement pieces. 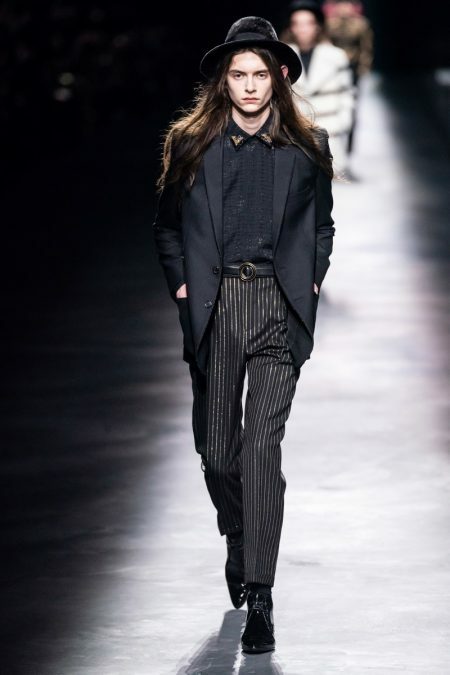 Adding a pop to lean-cut trousers and elegant suit jackets, prints and sequins decorated more sportswear-leaning menswear. 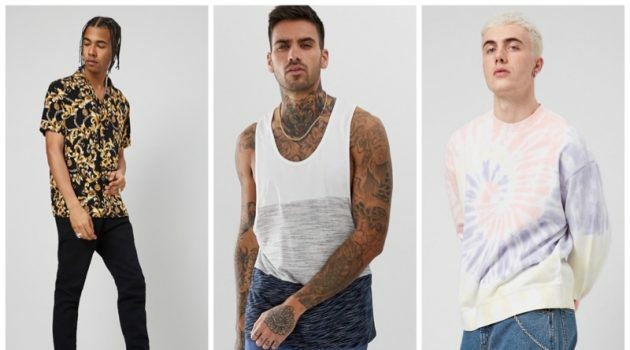 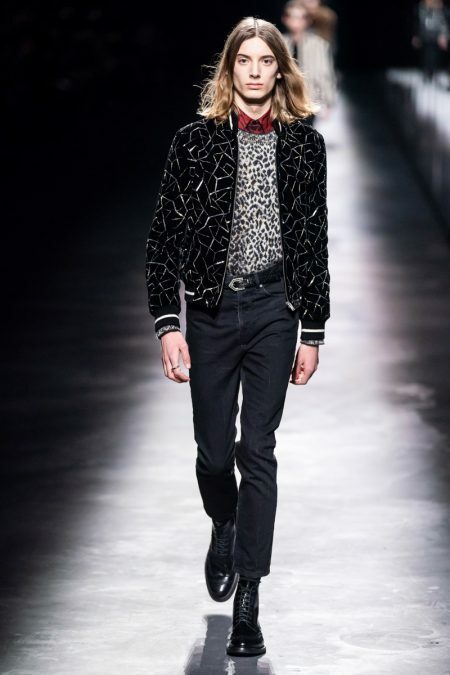 Key items include standouts such as a leopard print sweater or graphic bomber jacket. 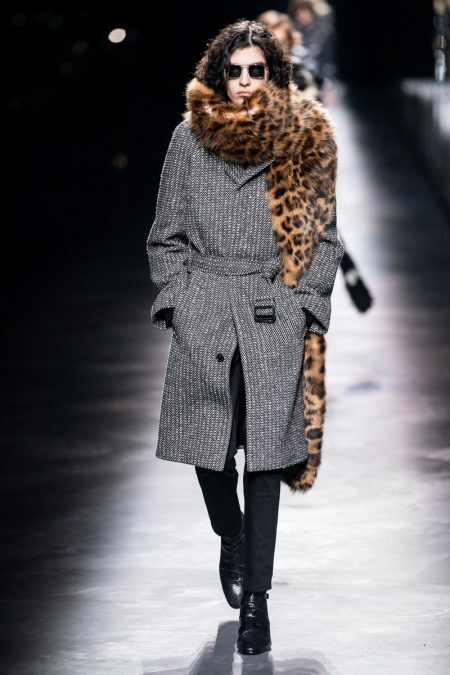 The oversized scarf made another appearance as well. 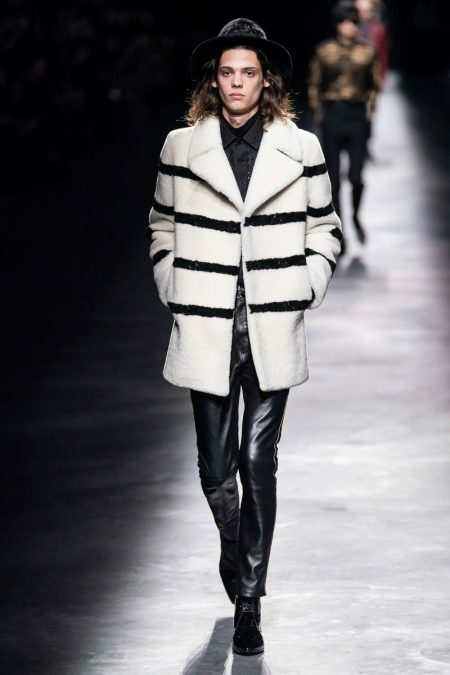 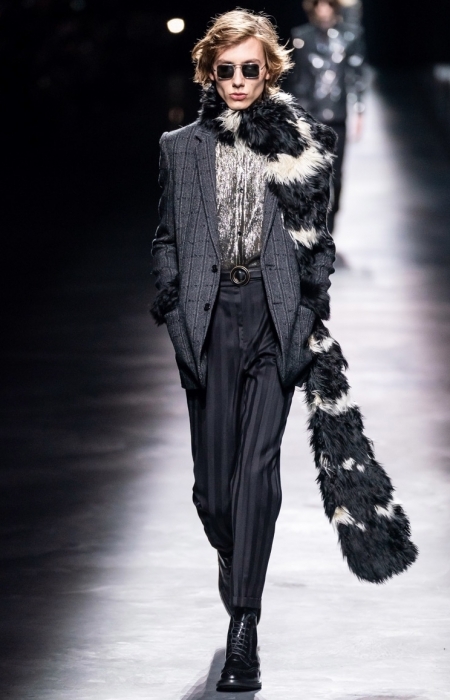 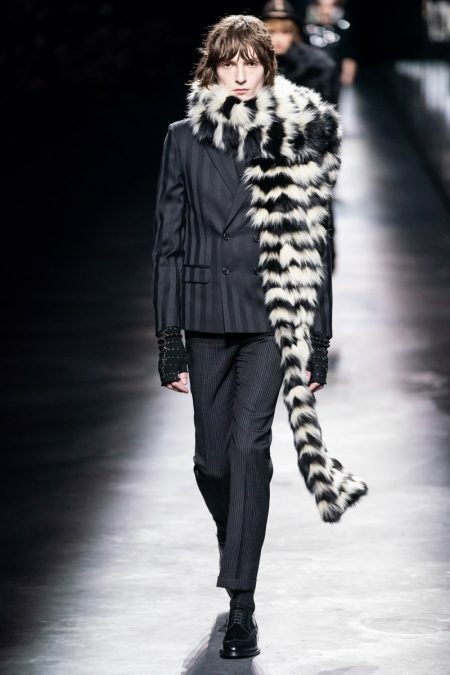 This time around, the Saint Laurent staple utilized faux fur and animal prints. 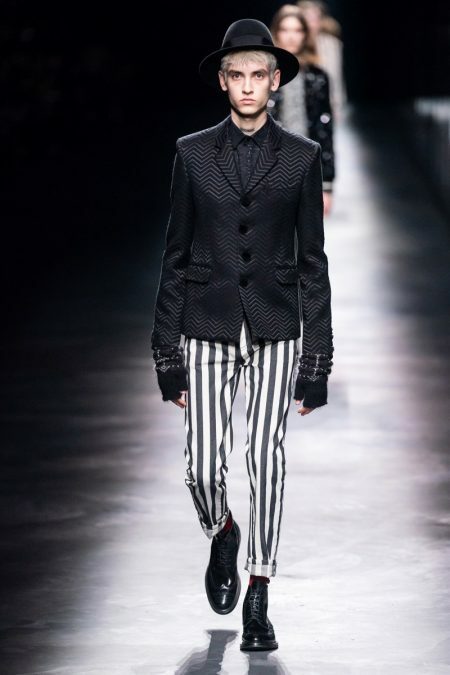 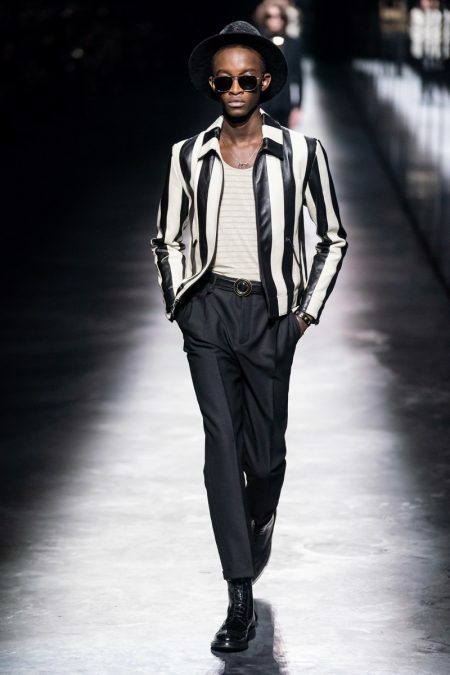 Stripes also contributed to the season's narrative by decorating the likes of jackets, coats, and trousers.